Creating a strengths-based workplace not only brings out the best in employees -- it also improves organizational success. 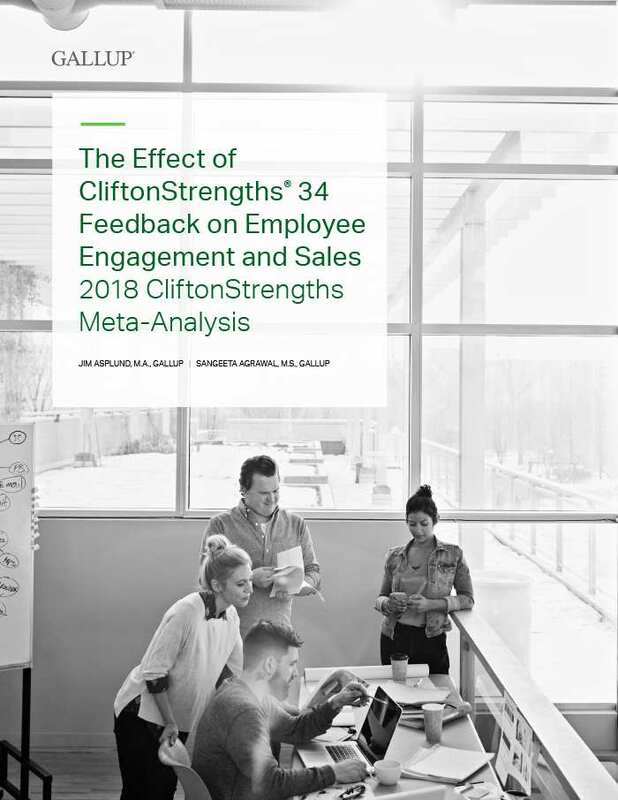 Gallup's 2018 CliftonStrengths meta-analysis examines the incremental benefits of receiving feedback on all 34 CliftonStrengths, compared with feedback on one's top five. Download the full CliftonStrengths meta-analysis. Fill out the form to download this report. Someone from Gallup may contact you about your interest in our CliftonStrengths offerings.